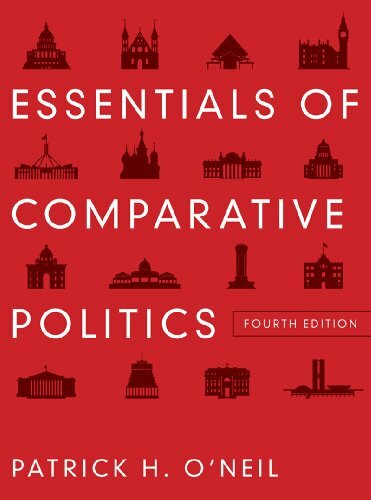 Essentials of Comparative Politics introduces students to the concepts that political scientists use to study and compare political systems and the particulars of specific political systems. The Fourth Edition has been revised and updated to include the most current and relevant examples and scholarship. The text is available with a corresponding casebook of 13 country studies and a corresponding reader; the three components can be used individually or in any combination. Patrick H. O'Neil is Professor of Politics and Government at the University of Puget Sound in Tacoma, Washington. He received his Ph.D. in Political Science from Indiana University. Professor O'Neil's teaching and research interests are in the areas of authoritarianism and democratization. His past research focused on Eastern Europe, and his current research deals with the Middle East, particularly Iran. His publications include Revolution from Within: The Hungarian Socialist Worker's Party "Reform Circles" and the Collapse of Communism and Communicating Democracy: The Media and Political Transitions (editor).